A prime-time televised debate in the Chicago mayor’s race is running into a legal challenge. Almost two-thirds of the mayoral ballot has been excluded from a forum set to take place Thursday night, and Amara Enyia and Paul Vallas are fighting to be included. 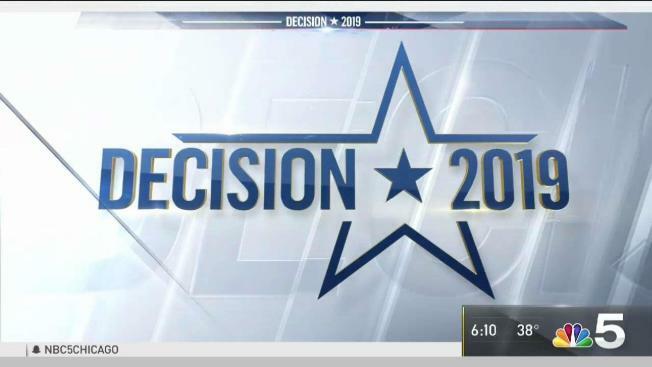 The candidates have complained that their campaigns have not been told what polling data is being used to determine the top five candidates despite requesting it. The most recent poll, released by the Chicago Sun-Times on Jan. 25, showed the five front-runners are Cook County Board President Toni Preckwinkle, who is leading with 12.7 percent, Bill Daley with 12.1 percent, former Board of Education Chairman Gery Chico with 9.3 percent, Willie Wilson with 9 percent and Illinois Comptroller Susana Mendoza with 8.7 percent. The other nine candidates on the ballot were not invited to the $35-per-ticket forum being held at the Union League Club. The Sun-Times poll was conducted before Circuit Court Clerk Dorothy Brown, who was polling at 4.7 percent, was kicked off the ballot, leading to questions of whether or not supporters of Brown could have boosted another candidate into the top five had the poll been conducted more recently. Enyia polled at 3.1 percent, but Brown endorsed her after she was kicked off the ballot. If all of Brown’s supporters flocked to Enyia, she could be within a knife’s edge of the top five. At 25.8 percent, the largest group of voters are those still undecided. Vallas said he was feeling a bit like “chopped liver” after being left out of the forum on his way to a press conference Monday. Vallas also said the debate’s sponsors could be in violation of the Fairness Doctrine, a Federal Communications Commission mandate that said broadcasters had to present public issues in a fair and balanced light. The policy was eliminated in 1987.